Thank you to The Woolly Thistle for sponsoring today's episode. The Woolly Thistle brings your favorite yarns from "across the pond" and makes them easily accessible in North America. At TheWoollyThistle.com you will find the Best of British yarn such as Blacker Yarns, West Yorkshire Spinners, The Knitting Goddess and my favorite colorwork yarn, Jamieson & Smith. You will also find yarns from Scandinavia including Plotulopi and Tukuwool. The Woolly Thistle offers handpicked kits, project bags, knitting needles and skincare to cover everything you need for your next project. With excellent customer service and beautiful yarns to peruse you will love shopping at thewoollythistle.com (that's two L's in woolly!) And if you make a purchase before February 28, use the code TIGHTLYSPUN2 for 10% off of your order. Let The Woolly Thistle do the international shipping so you don't have to! 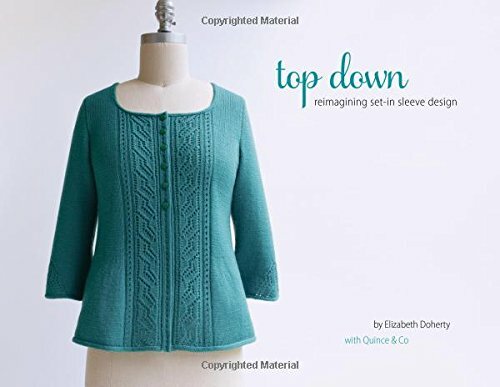 By Elizabeth Doherty, Quince & Co.